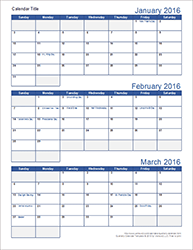 Browse our collection of free printable calendars and calendar templates. 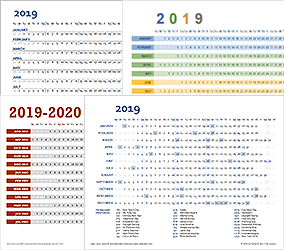 In addition to our original Excel Calendar Template, you can find new designs on the year-specific pages listed below. 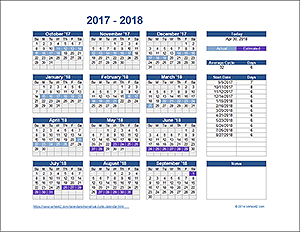 Check out our printable calendars to download a PDF calendar, or continue browsing below to find other schedules, planners, and calendars. 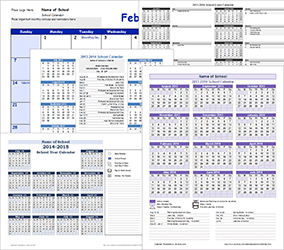 PDFA variety of monthly and yearly calendars in PDF format. 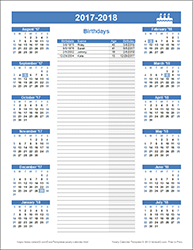 XLSXODSGSOur original calendar template for Excel, OpenOffice and Google Sheets. Over 3 million downloads. 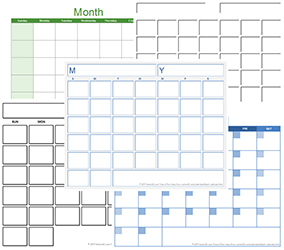 Most Popular, Multiple FormatsXLSXA large variety of theme-enabled Excel templates. Choose the year, start month, and starting weekday. 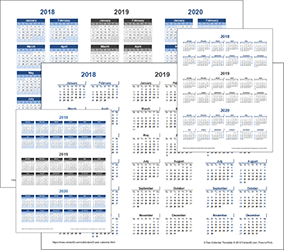 Multiple FormatsXLSXPrint a 3-year calendar for reference or planning. Enter the year and starting month. Choose Sunday- or Monday-first. 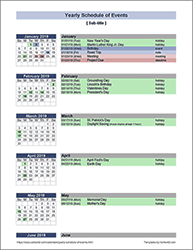 XLSXThis calendar format works great as a checklist or for shift and employee scheduling. 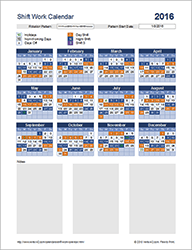 Portrait and LandscapeXLSXThis yearly planning calendar includes space below each day to write brief notes. XLSXCreate a schedule of events with mini calendars that highlight event dates. 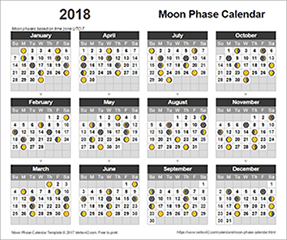 Portrait and LandscapeXLSXDisplay the 8 major Moon phases on a yearly calendar using this Excel template. 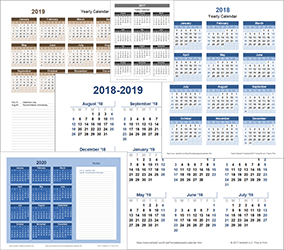 4 Different DesignsXLSXPrint a variety of horizontal calendars. Update the year, start month and start day. 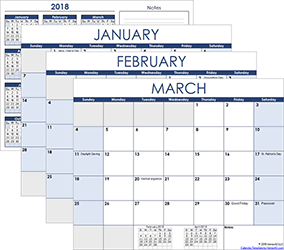 XLSXODSGSCreate and print a monthly calendar by choosing a month and year. 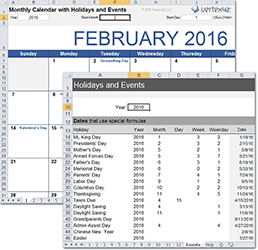 XLSXCreate a 12-month calendar with common U.S. holidays and observances. Add birthdays and other events. 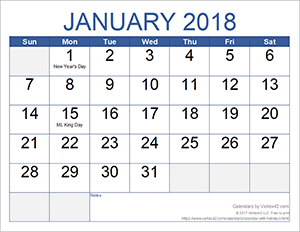 XLSXCreate and print a calendar without any breaks between months. Great for project planning. 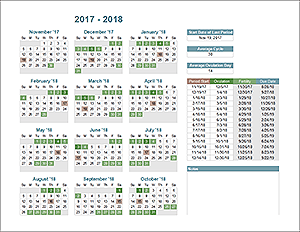 XLSXTrack your budget by entering amounts into a monthly calendar. 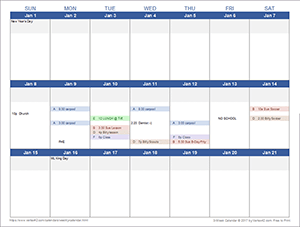 DOCXA printable monthly calendar for Microsoft Word. 12 months on separate pages. XLSXFor the visually impaired or for placing on a wall to be viewed from further away. 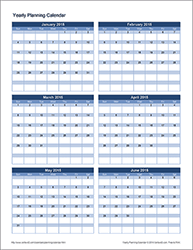 Print a monthly planner spanning 2 facing pages. 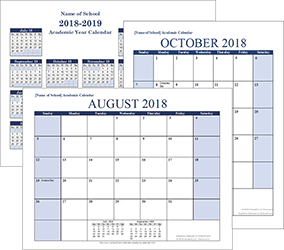 XLSXDownload a variety of school calendar templates for Excel. 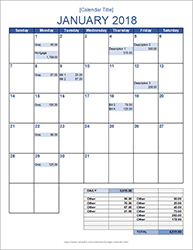 XLSXA yearly academic calendar plus two different monthly calendar formats. 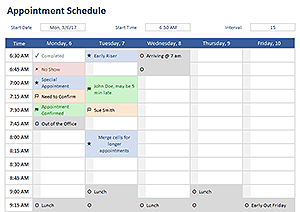 1-Pg Landscape or 2-Pg PortraitXLSXPrint a weekly appointment calendar on a single page, or print a full-year appointment book. 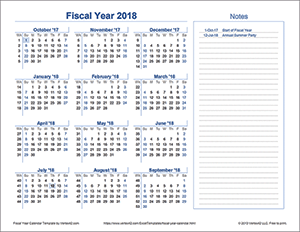 Portrait and LandscapeXLSXCreate a fiscal year calendar for any year and start date. 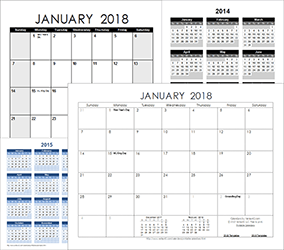 XLSXCreate and print a calendar showing three months per page. 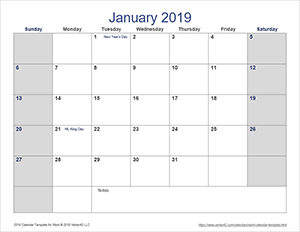 XLSXCreate a yearly work calendar for showing a rotating shift pattern. 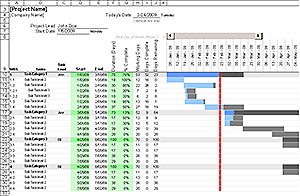 XLSXodsGSCreate a Gantt Chart to keep your project on schedule. XLSXSchedule and track appointments on a daily/weekly basis. 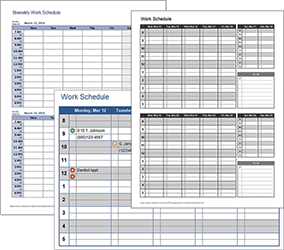 XLSXDownload a few different weekly or biweekly work schedule templates. 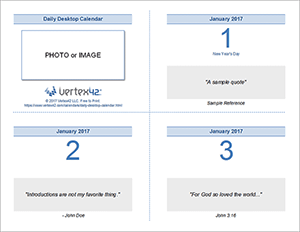 XLSXCustomize and print your own daily desktop calendar. Some assembly required. 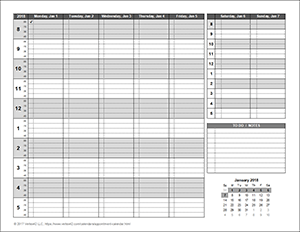 XLSXUse this printable 3-week calendar to fit more into your day than a monthly calendar typically allows. 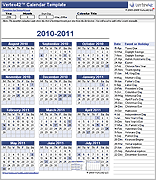 XLSXPDFPrint a simple blank daily calendar and find other daily planner options. XLSXThe ultimate personal weekly planner with everything you need on a single page. 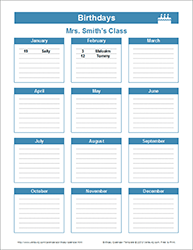 Create custom weekly schedules for home, school, or the office. 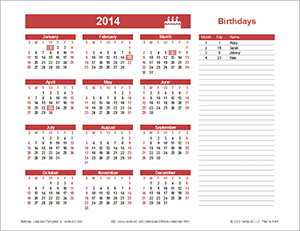 XLSXODSDOCXPDFPrint a yearly calendar to list the birthdays for your family, class, or office. XLSXList the birthdays for your class or relatives once. 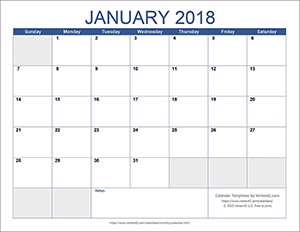 Then, print the calendar for any year and start month. 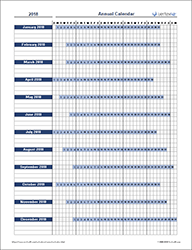 XLSXTrack your period with this simple yearly calendar to help you make better predictions for the future. XLSXFor women wanting to have children. Estimates future ovulation dates and fertility windows. 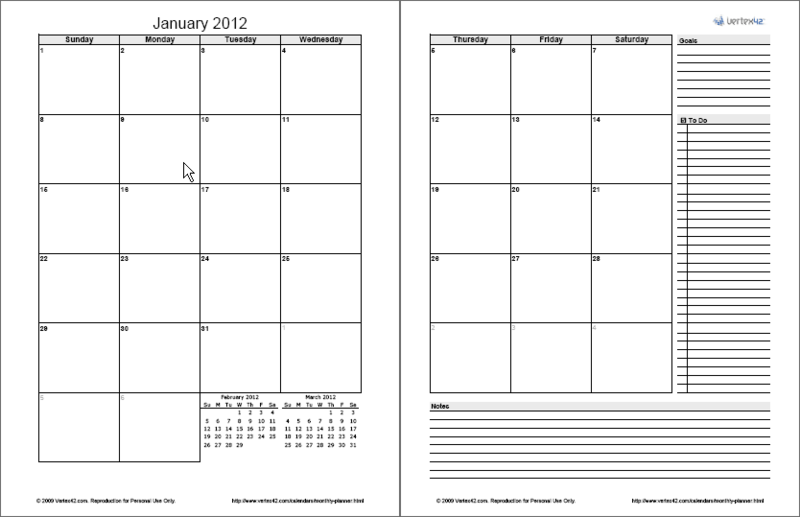 XLSXPDFA variety of blank calendars that you can print and complete by hand. 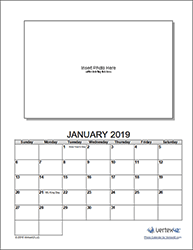 XLSXCreate your own photo calendar with this template. 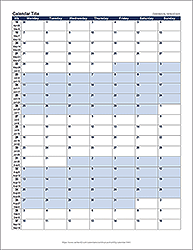 Yearly and 12-month calendar in one workbook. Choose any year or starting month. Includes some holidays. 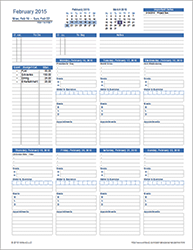 Print weekly planner pages on normal letter-size paper for your 3-ring binder. 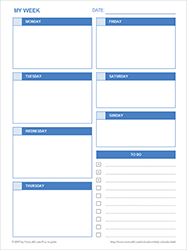 A printable weekly family planner template for appointments and meals with lists for to dos, chores, and shopping.